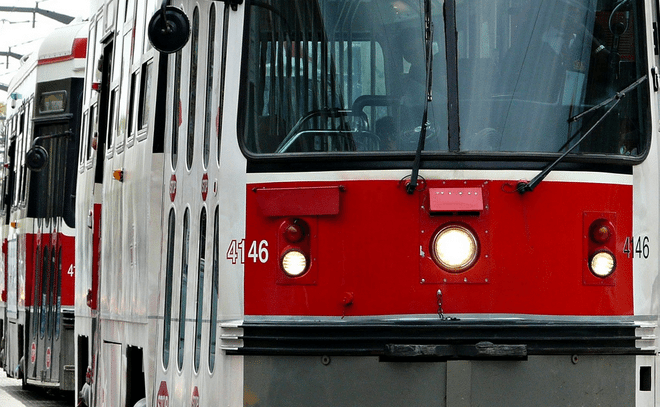 We are terrible at discussing transit in Toronto. What does this mean for the 2014 municipal election? Photo by seango, from the Torontoist Flickr Pool. My fondest hope for the upcoming election campaign is that no candidate even mentions subways, streetcars, or LRTs. I want to hear about taxes, energy, the economy, bicycles, cars, the waterfront—anything but public transit. 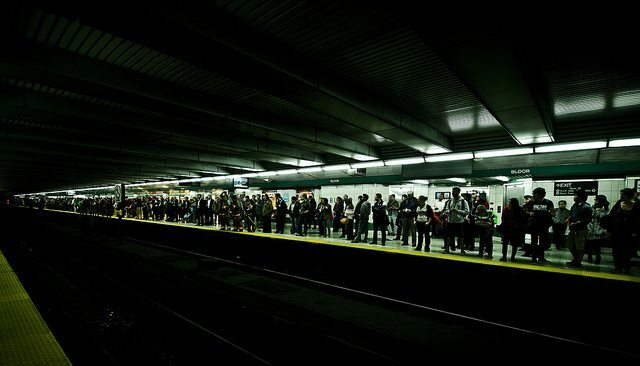 I want to live in a city where transit is simply taken for granted. Alas, such a state of grace is likely decades away. Wordy chaos fills the void left by the absence of consistent long-range planning. Every candidate considers it his or her duty to champion a whole new transit plan, and citizens naively debate the merits of this or that option—as if it were actually possible to change direction every four years and get anywhere with projects that typically take a generation to achieve. Mayoral candidate David Soknacki kicked off the latest round of transit football with his very first policy announcement, saying he would turn Rob Ford’s Scarborough subway back into an LRT, as originally planned. He’s probably right, but I just don’t want to hear about it. This errant conversation first emerged in the 2010 campaign, showing how very far Toronto was from being a transit city, and it flowered into the main business of city council under the inane leadership of Rob Ford. Not content with changing direction every four years, council rolled the dice on generational investments closer to every four weeks. Any hope that the provincial government and its Metrolinx agency might provide sober guidance vanished when cabinet ministers and Metrolinx chair Rob Prichard jumped into the game, wheeling and dealing with the worst of them. The result has been massive confusion about where we’re heading and how, which stands as an open invitation to another round of fruitless pseudo-debate and grandstanding in the upcoming election. Photo by St-Even, from the Torontoist Flickr pool. And nowhere more emphatically than in Toronto, which has wasted 20 years building two subway lines on the basis of nothing more than temporary political advantage. Not coincidentally, both of those lines—Sheppard and the Spadina extension—are as close to useless operationally as heavy rail can be. They are world-class examples of how not to do it. Then the Liberals got a turn, and twisted planning priorities mercilessly until they yielded a rationale for an extension of the Spadina line past York University and up to an empty field in faraway Vaughan, a bizarre destination distinguished only as the political turf of former finance minister Greg Sorbara. It didn’t hurt that Mr. Sorbara’s brother, property developer Joseph Sorbara, was chair of the York University Development Corporation. Although it will certainly provide luxury service to students and faculty of York University when it opens in 2016, the new line is unlikely to attract more than a handful of new users to the TTC. And riders using less favoured parts of the system are already paying heavily for the extravagance, suffering overcrowding and increasingly poor service while billions needed for worthwhile investments float up the river to Vaughan, where they will serve not to move people so much as to make local property owners rich. The latest mess in Scarborough is thus all too true to type. What makes it perhaps even more pathetic is the fact that nobody stands to gain much from the ultimate decision about what to build and where—not even the political fixers who generally make such decisions. The fact is that Rob Ford is too stupid and too politically isolated to manage the usual shady deals required to build subways in Toronto. Ford on transit is like someone who walks into a play midway through the third act and complains that it makes no sense. He has no idea what’s going on. Then again, nobody else does either—not even Metrolinx, the provincial agency that was supposed to put an end to the wasteful political mess-making by creating a true long-term transit plan for the entire urban region. That plan now exists, and the new Eglinton LRT line is well underway. But the Scarborough debacle showed conclusively that Metrolinx has no actual authority to implement the plans it has made—especially if they counter the whims of some passing cabinet minister—let alone to finance them. What we’ve seen recently is Metrolinx blowing this way and that with every passing zephyr, bowing to the power of the moment, manoeuvring and manipulating along with everybody else. So rather than being able to take transit for granted, we are faced with another round of agonizing debate. The more we hear about it, the more ground we seem to lose.